Fernandez is not alone; the project has sparked outrage on both sides of the border. This comes right when Prime Minister Stephen Harper’s Conservative Party is in the middle of a fierce election campaign in which this has become an issue. Not surprisingly, he has prudently postponed a final decision on the waste dump until after the October 19 national election. Canadian elections are different from ours, and it is entirely possible that any one of three parties -- the Conservatives, the Liberals or the New Democratic Party may emerge as the next government of Canada. We don't know how the election will affect what Ontario Power Generation is calling the "Deep Geologic Depository." We don’t know how the election will affect what Ontario Power Generation is calling the “Deep Geologic Depository.” Under Canadian custom, most government officials, diplomats and bureaucrats, are not allowed to comment until after the election. We do know this: Ontario Power, the utility that wants to store the waste, maintains that this site is totally safe. They aren’t talking about storing highly radioactive nuclear fuel rods in the ground, but low and intermediate level nuclear waste. That means on the low end, mops, brooms, gloves and clothing. Intermediate waste includes filters and machinery that had been in contact with nuclear fuel. The utility is already storing this stuff not far from the surface on that site, which it owns. They contend where they want to bury it, more than two football fields below the surface, is in a rock formation that’s been stable for almost half a billion years. Ontario Power Generation also says this would be much safer than keeping it near the surface. Well, whatever you think about this, we’re all ignoring the deeper issue, which is, in the long run, where do we put this stuff? The only thing we seem to be able to agree on is, "not in my backyard." The United States had agreed to store its nuclear waste in Yucca Mountain in Nevada, until that was killed by Nevada politicians. Meanwhile, spent nuclear fuel is piling up in many places. It’s not going away. We need a solution, and we have our heads in the sand. And those concerned about burying old mops near Lake Huron might want to consider this: There is a vast amount of highly radioactive fuel rods and other stuff stored in containers on a concrete pad close to Lake Michigan, right near Charlevoix, left from the now-demolished Big Rock Nuclear Plant. It was supposed to go to Yucca Mountain. Now it just sits there. Both the U.S. and Canada desperately need a long term plan, but our governments don’t seem willing to face this. Years and years ago, I worked for a crusty old publisher who would not report the results of opinion polling in his newspaper. I thought he was a horribly backward troglodyte. Today, I’m not so sure. In fact, I have come to think that most so-called election polling is somewhere between silly and stupid and harmful to the democratic process. Contrary to what you might think, it is not true that our government in Lansing can’t do anything. Why, just yesterday, the governor reappointed four members to the Michigan Carrot Commission. 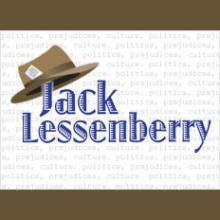 Jack Lessenberry talks about how Governor Rick Snyder got into the act on great a cut to the general fund. And the state House of Representatives unanimously voted to retroactively recognize last Sunday as Airborne Day, whatever that means.